Plastic Surgeon in Beverly Hills | What is the Best Age for a Brow Lift? What is the Best Age for a Brow Lift? No matter your reason for desiring cosmetic surgery, whether it’s to lift your spirits or correct an annoying misalignment on your body, you should always be sure that you fall under an appropriate age range. While there is a diverse array of procedures available for a diverse array of patients, it’s best to speak with your plastic surgeon in Beverly Hills to create a customized plan that works best for you. At the office of Dr. Kapoor, we often schedule consultations and information sessions for brow lifts. As one of the more popular procedures, brow lifts are designed for those who wish to fix their drooping facial features and retain a more youthful appearance. If you’re wondering if you are a good candidate for a brow lift, check out the following information to see if you fit as a potential match. While people of varying age ranges can fit the criteria for candidacy, your plastic surgeon in Beverly Hills wants you to be aware of what that basic criteria is so you can start planning your initial consultation. Most people choose to invest in a brow lift procedure because of the natural aging process. As you get older, your skin starts to lose its elasticity, causing certain parts of the forehead and brow to droop. It can often weigh down on the eyelids, making you look constantly tired. If you are worried about how this is affecting your facade, you can talk to our doctor about what a brow lift means to you. That being said, most of Dr. Kapoor’s brow lift patients are older. 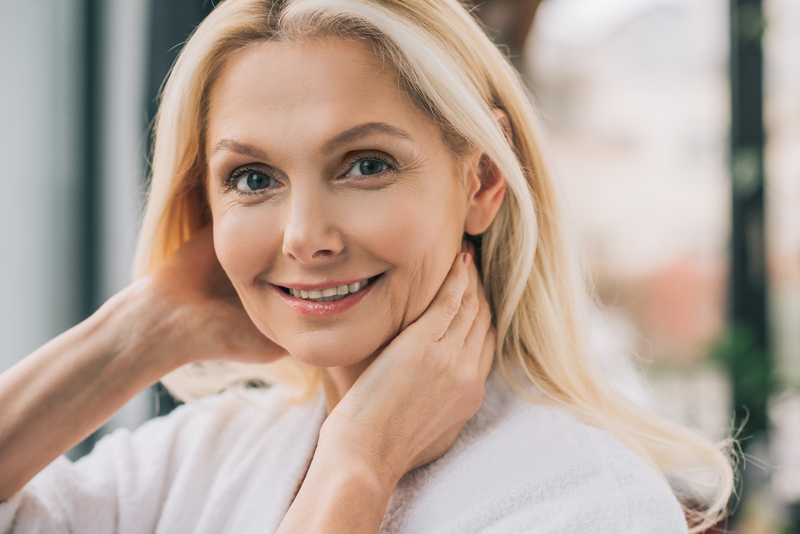 While younger candidates certainly are possible, it is more common to find a middle-aged patient who is starting to experience wrinkles and droops in their skin. Many young people do not yet experience the loss of skin elasticity, and therefore have no need for this kind of plastic surgery procedure. The average age range for patients seeking brow lifts is between 40 and 50. Those in their 20s or 30s may only need a cosmetic surgery procedure if they are experiencing hereditary brow drooping, which can certainly happen. However, no matter the age of the candidate, the most important thing patients to know is what to realistically expect during a brow lift. During a brow lift procedure, Dr. Kapoor takes a look at the forehead area to determine the cause of the brow drooping. If he finds a reason to invest in a brow lift, he will then review the necessary details, expectations, and medications required for a successful plastic surgery. The procedure itself is not too complicated. It is now an endoscopic procedure, minimally invasive, with only small incisions required. The lift can be done in a single procedure, and your staff members will walk you through the recovery process. Get rid of crow’s feet, forehead wrinkles, frown lines, drooping eyelids, and other skin sags with this beneficial procedure! If you are noticing your face start to droop, don’t wait until it’s too late. The loss of elasticity will only worsen in your time, which will rack up medical costs and cause you to need more invasive procedures. Instead, speak with Dr. Kapoor and our friendly staff members about your brow lift options. We can review all of the necessary details with you. To make an appointment with your plastic surgeon in Beverly Hills, simply contact us online or give us a call at (310) 321-4710 for more information. Dr. Kapoor & Dr. Schlenker are Beverly Hills Plastic Surgeons who performs body, breast, and facial procedures in Beverly Hills & Los Angeles, California in their fully accredited Cosmetic Surgery Center.